Dr Renu Agarwal is an Associate Professor, Operations and Supply Chain Management, and as the Director of Supply Chain Management Programs, she provides leadership in service value networks, supply chain management, service innovation and dynamic capability building, management practices, and innovation and productivity. She has been instrumental in securing funding and managing both federal and state government grants on management practices for Australia and Nzl in collaboration with LSE, McKinsey and Stanford. More recently in 2017, Renu has been instrumental in the development of the Australian Management Capability Survey in collaboration with Stanford Universit, funded by DIIS and launched by the Australian Bureau of Statistics to 15000 Australian businesses to assess the impact of Sustainable Supply Chain Management, Digital Business and Innovation Management practices on innovation and productivity. Renu has published in several top tier journals which includes Decision Sciences, International Journal of Production Economics, International Journal of Production Research, International Journal of Operations and Production Management, Internal Journal of Logistics Management amongst many, and is the editor of The Handbook of Service Innovation, guest editor of the special issue of the Global Journal of Flexible Systems Management titled The Future of Manufacturing Global Value Chains, Smart Specialization and Flexibility by Springer, and the Editor of the book on Global Value Chains, Flexibility and Sustainability as part of the series Flexible Systems Management to be published by Springer in 2018. 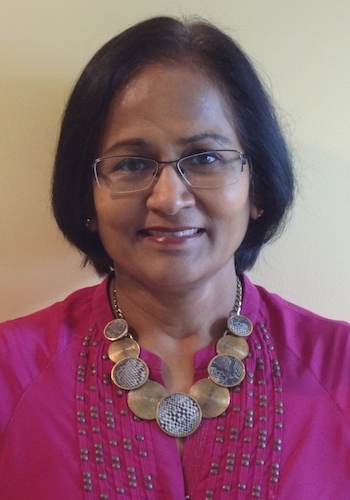 Currently, Renu is the editor of the upcoming Routledge Companion to Global Value Chains: Reinterpreting and reimagining mega trends in the world economy in 2019. For further details please download my CV. "Bringing together the wide and diverse field of service innovation into a single, comprehensive and insightful text is a daunting challenge. Yet this is exactly what the Handbook of Service Innovation does. A great and compelling read, which I wholeheartedly recommend." - Professor Andy Neely, Director, Cambridge Service Alliance, University of Cambridge, UK. "This is a hugely important topic and this handbook containing chapters from some of the leading academics and practitioner in the field. Service innovation encapsulates much of the work on management practices and productivity. As the modern world increasingly focuses on services long-run growth is going to come from innovation in their delivery, both product and process innovation. This book provides an ideal map for researchers to get up to speed on the latest work and thinking." - Professor Nicholas Bloom, Professor of Economics, Stanford University, California USA. Senior Associate of the Centre for Economic Performance, London School of Economics, London, UK. "The nature of service innovation continues to evolve as service offerings dominate over product offerings in developed economies around the world. Today making sense of service innovation is a top priority in industry, academia, government, and the social sectors. The Handbook of Service Innovation provides a up-to-date set of concepts, examples, and perspectives on this intellectual deep and economic significant area of research, practice, education, and policy." Renu has a background in tele- and data-communications engineering and more recently expertise in business and management. Renu possesses a unique blend of 30 years of extensive industry and academic experience, out of which 19 years of industry experience involved operational and strategic senior management roles at the State Rail Authority (SRA) of NSW, OTC and Telstra Corporation, and its Hong Kong based joint venture company REACH. Renu’s career initially started as an engineer, and through progressive promotions, she migrated to senior management roles in the area of international switching, global service planning, design and delivery, business management, and global strategic sourcing and procurement. To name a few, Renu’s greatest achievements include commissioning of an X.25 Packet Switching Network across NSW Rail network whilst at SRA and the successful planning and cutover of the Telstra International telephone exchange networks established with 225 countries around the world. In these senior roles, Renu has successfully managed strategically important projects within budget, on time, and with significant impact and outcomes. As the Global Strategic Sourcing Manager at REACH in 2002, Renu’s efforts resulted in millions of dollars savings for both Telstra and REACH whilst ensuring Telstra’s purchasing power in their vendor relationships; as a result of which Renu received a ‘Recognition Award’ from David Moffatt, the then CFO and Group Managing Director of Telstra Corporation. Renu won the “ANZAM Best Doctoral Dissertation Award 2008” for her doctoral research titled “Drivers and outcome of elevated service offerings in a collaborative organisational environment” conducted on Telstra and its partnering organisations. She also won the “Best Student Paper Competition – Highly Commended” award sponsored by IBM for the paper titled “Drivers of elevated service offerings in collaborative service networks” at the POMS College of Service Operations Conference held in London Business School 2007. Her current research interests range across service value networks, innovation in services, dynamic capability building, management practices and its impact on firm performance, sustainable supply chain management, and more recently in managerial innovation education. Her interdisciplinary publications include articles in top tier journals - Decision Sciences and International Journal of Operations and Production Management, with several book chapters to her name, as well as peer reviewed conference papers – See CV for details. Renu is a member of several working parties at UTS Business, UTS and member of several external forums representing UTS which include the Alliances for Supply Chain Innovation Research Steering Committee, Australian Service Science Society Board, and the Steel Stewardship forum working party. Renu is a reviewer in top tier journals which include Decision Sciences, International Journal of Operations and Production Management, Journal of Management Studies, Management Research Review Journal, Operations Management Research Review Journal, and Innovation: Management and Policy Practices. Since 2009, Renu is a regular contributor to ANZAM conferences which includes being a reviewer, chair of the “strategic partnership and alliances session”, and chair of the “strategic management stream”. She is also the Associate Editor of the International Journal of Decision Science Journal. Renu has given several industry talks especially on ‘Management Practices and Productivity’ at a national level and has been invited at several industry events as a panelist which include the TiECON 2009 annual event; AFTA 2011 symposium, and the 1st international workshop on “Service Science – Research, Education and Innovation” at the WISE 2011 conference. Renu has had several federal and state government research grants. She is the Research Director of several Management Practices research projects funded by DIISR, Canberra, MED NZ, NSW Health, and Qld health. In particular, the research on “Management Practices and its impact on firm Performance” (AMPP) project on medium sized manufacturing firms in Australia, which was jointly undertaken by UTS and MGSM as a collaborative effort in partnership with the London School of Economics, McKinsey and Stanford. In addition, an extension to the original AMPP study, funded by DIISR which examines the best, average and worst HRM practices and historical dynamic capability building in Australian manufacturing SME’s is just completed. Indeed, the research outcomes are powerful and impacting resulting in government and organisational policy making and conducting of industry roundtable discussion forums on behalf of DIISR. Renu is currently the Chief Investigator for several other projects which include sustainable supply chain management and RESMED’s supplier relationship management projects. She was also appointed as the Chief Evaluator for the Service Science Management and Engineering (SSME) Australian Learning and Teaching Council (ALTC) project titled “Curriculum Renewal in postgraduate information technology education: a response to the growing service sector dominance” conducted by a consortia of universities led by the University of Sydney. Renu is currently working on several projects with industry partners in the area of “Innovation Performance: Service-logic value co-creation with your customers” and “Role of non-union employee representation (NER) arrangement in organisational management performance”. Service value networks, innovation in services, dynamic capability building, management practices and its impact on firm performance, supply chain management, and managerial innovation education. Service Science, Service Operations Management, Innovation and Entrepreneurship, Operations and Supply Chain Management, Innovation and Technology Management, Business Strategy, Quality Management, and Value Chain Management. Dr Agarwal has managed and taught curriculum in the field of Electronics Engineering and Computer Sciences at the Indian Institute of Technology, Roorkee, and reverting back to academics in the last few years she has led the introduction of a service science major for the MBA program at UTS Business. She has a strong interest in interdisciplinary curriculum development and takes pride in adopting holistic approaches to teaching and learning in the areas of service innovation, service operations management, operations and supply chain management, value chain management, innovation and entrepreneurship. agarwal, R, bajada, C, green, R & Skellern, K 2019, The Routledge Companion to Global Value Chains: Reinterpreting and reimagining mega trends in the world economy, Routledge, Informs UK. The Routledge Companion to Global Value Chains: Reinterpreting and reimagining mega trends in the world economy, to be published by Routledge in 2018. With the growing interest from business, academics and policy-makers in global value chains, this Handbook will provide a timely reference work on key megatrends and business practices in the world economy. Its target audience will be students, practitioners, researchers and governments who want to understand the operations and interrelationships of firms in global markets and value chains, and how they drive international trade, productivity, innovation, competitiveness and economic growth. (viii) Implications for governance, public policy, product, process, service, organisational and managerial innovations and similar topics. © 2019 Elsevier Ltd In todays' dynamically changing environment and competitive landscape, organisations are adopting sustainable practices for attaining long-term economic viability. However, there is a misalignment between sustainable practices and organisations' strategies and capabilities, especially when sustainability requirements of the stakeholders changes over time. Grounded in dynamic capability view (DCV), this paper addresses the changes in supply chain sustainability requirements of stakeholders in the context of sourcing products from apparel manufacturers in a low cost country Bangladesh. To this end, this study develops a decision support (DS) framework for supply chain sustainability (SCS) that identifies and prioritises optimal strategies for SCS in a dynamic environment. This study adopts a mixed method approach, with the qualitative approach being a field study, and the quantitative approach using fuzzy Quality Function Deployment (QFD) integrated optimisation technique. Our DS framework addresses the stakeholders' sustainability requirements over time in the context of a case company. The findings show that concomitant with the changes in the stakeholders' priorities of the sustainability requirements, the organisational sustainability practices, strategies and capabilities also change over time. The SCS DS framework brings a richer conceptual understanding of the dynamic changes in stakeholder requirements and allow managers to choose and select optimal strategies and make astute decisions whilst balancing the economic, social and environmental viability simultaneously. emerging markets grappling with problems caused by monopolies and subsidies. Furthermore, this case study not only aims to improve operations of the LPG supply chain, but also re-designs its supply network to meet customers' expectations. It illustrates value creation through growth in non-domestic sales, a reduction in consumption of subsidized LPG as a consequence of better understanding of customer needs and customer diversity, process re-engineering and deployment of ICT systems, and change management and capability building across various LPG stakeholders. exploratory in nature, consisting of a back and forth process between extant literature and the field, as well as in-depth discussions/interviews with senior management, distributors, and consumers. and capability building drive value creation through policy interventions and initiatives. The ability to simultaneously increase operational efficiency and undertake organisational innovation has become a cornerstone for the long-term prosperity of organisations. For manufacturing small-to-medium-sized enterprises (SMEs) that produce a high variety of customised products at low volumes (HVLV), achieving this so-called organisational ambidexterity poses significant challenges. HVLV manufacturers are designed to facilitate maximum flexibility in the manufacturing system; however, it is this same flexibility that can hinder the ability of a HVLV manufacturer to achieve organisational ambidexterity—bringing to light an apparent trade-off between two seemingly contradictory objectives. Hence, in this paper, we investigate the relationship between flexibility and ambidexterity in the context of HVLV manufacturing as well as the use of different management practices to manage this relationship. We construct a conceptual model by adopting a paradox-based view of tensions using insights from an extensive literature review. Building off the contributions of paradox and organisation theory, this conceptual model demonstrates the multi-dimensional and dynamic nature of tensions between flexibility and ambidexterity as they manifest as much from salient factors (regarding social phenomena and individual cognition) as they are from latent factors (through the complex interactions of organisational elements). By moving beyond the dominant paradigm of efficiency-driven research in HVLV manufacturing, we provide managers with unique insights into the role flexibility plays in achieving ambidexterity to help facilitate better informed decisions taken by them. Further theoretical and practical implications are discussed as well as potential areas for further research. Purpose – The purpose of this paper is to measure service productivity using the Service Enterprise Productivity in Action (SEPIA) model. The research operationalises only one of the five stakeholder groups, the customer interface which incorporates service complexity (SC), customer interactions, customer channel, customer loyalty (CL) (new) as inputs, and CL (referred and repeat) and willingness to pay as output measures. Design/methodology/approach – The research extends our understanding of existing service productivity models with the development of the SEPIA model. Data were collected from 14 organisations operating in the Australian travel and tourism industry, which was analysed using a data envelopment analysis input oriented variable return to scale method as applied to the SEPIA model customer interface. Findings – Four key findings from the research include: customer choice and their ability to pay is a determinant of service productivity; service productivity is a two stage process when measured; SC is not categorical; and quality business systems do impact service productivity. Research limitations/implications – A limitation of this research is that only one (customer) of the five key stakeholders, customer, employee, manager, supplier and shareholder, was operationalised in this research paper. Practical implications – The operationalisation of the SEPIA customer interface using transactional data and measuring non-financial, intangible factors of productivity provide managers with insights on what services to offer, when to invest in or promote the use of technology and whether to spend marketing effort on customer acquisition or customer retention. Purpose: This paper investigates the quality of management practices of public hospitals in the Australian healthcare system, specifically those in the state-managed health systems of Queensland and New South Wales (NSW). Further, we assess the management practices of Queensland and NSW public hospitals jointly and globally benchmark against those in the health systems of seven other countries, namely USA, UK, Sweden, France, Germany, Italy and Canada. Design/methodology/approach: In this study, we adapt the unique and globally-deployed Bloom et al. (2009) survey instrument that uses a 'double blind, double scored' methodology and an interview-based scoring grid to measure and internationally benchmark the management practices in Queensland and NSW public hospitals based on 21 management dimensions across four broad areas of management – operations, performance monitoring, targets and people management. Findings: The findings reveal the areas of strength and potential areas of improvement in the Queensland and NSW Health hospital management practices when compared with public hospitals in seven countries, namely USA, UK, Sweden, France, Germany, Italy and Canada. Together, Queensland and NSW Health hospitals perform best in operations management followed by performance monitoring. While target management presents scope for improvement, people management is the sphere where these Australian hospitals lag the most. Practical implications: This paper is of interest to both hospital administrators and health care policy-makers aiming to lift management quality at the hospital level as well as at the institutional level, as a vehicle to consistently deliver sustainable high-quality health services. This research explores the significance of linkages in building relational capability between Australian and Indian mining firms which leads to new international opportunities. Building upon knowledge-based and network views this qualitative study presents the 'The Relational Capability-Linkages Model'. Purpose –The purpose of this paper is to report on how collaboration in a service network of a major Telco, involving a key partner and its affiliate network, enables dynamic capability building for achieving services innovation. These capabilities are subsequently analysed for emerging trends and patterns of relationships, and later grouped into different constructs based on existing literature, to present a Dynamic Capability building-framework through partnering. Design/methodology/approach – The method for this paper is a case study of a large Telco, including its distribution channels and franchised retail centres; and a key trading partner, TPartner, and its affiliated network. Interviews were conducted, transcribed, coded, and similarities in views by different participants were incorporated into emergent themes and patterns for analysis. Findings – The paper finds that collaboration, collaborative organisational learning, collaborative innovative capacity, entrepreneurial alertness, and collaborative agility are all core dynamic capabilities that foster innovation in services. Second, collaboration enables firms to redefine their strategic and operational capabilities. Third, partnering allows managers to rethink, rearrange and reposition their sourcing strategies to better meet customer demand. Lastly, through partnering with customers and their ensuing engagement, managers are equipped with superior ability to anticipate discontinuity in customer preferences across channels, and through customer knowledge managers are able to meet future demand expediently. Originality/value – This study advances our understanding of how organisations can build competence based on dynamic capabilities through collaboration in order to foster service innovation. The purpose of this paper is to undertake a survey of the external and internal forces changing the nature of business schools and business education. It aims to investigate how management education responds to increasing productivity, innovation and capability challenges, examine how MBA programs currently meet these demands, and how these courses might redefine their identity and delivery, and finally explore how to deepen engagement between business schools and business stakeholders, and to balance the imperatives of relevance and quality. Subramani, P & Agarwal, R 2013, 'Opportunities and Pitfalls Associated with Coordination Structures in Supply Chain Management: An Exploratory Case Study', International Journal of Supply Chain Management, vol. 2, no. 4, pp. 17-31. Supply chain management has recently received considerable attention with an aim to reduce production costs, manage risks, reduce delays, maximize profit, and improve the quality of products, with the result of increased competitiveness and profitability for all stakeholders. It is in this context that this paper investigates what coordination structures (focal, mediated or collaborative) are adopted by supply chains in an attempt to conduct integrative planning. We investigate what coordination structure is required by the focal firm to successfully manage supply chain activities. This paper draws on evidence from the extant literature and demonstrates the prevalence of the newly defined coordination structures in the manufacturing of complex products with a multitude supply chain based on findings from exploratory case studies. Potential opportunities and pitfalls associated with each of the coordination structures in regards to governance, supply risk, quality and supplier involvement practices are examined. Hypotheses are developed to help understand the impact of coordination structures on various supply chain activities. Previous studies have not considered the potential pitfalls and opportunities for the focal firm in choosing to adopt a particular coordination structure in the complex products manufacturing industry, which poses specific regulatory considerations. The two explanatory case studies also consider the perspective of tier 2 suppliers, which are not commonly considered in the supply chain literature. Moreover, this research is able to demonstrate that there is no such coordination structure as one size fits all, and instead illustrates that even different component supply chains in the same organisation can have different coordination structures. Increasingly, innovation in services is brought to market by a network of firms, or alliance networks, asset orchestration, knowledge sharing capabilities, resources and competencies, and operated in a coordinated manner. Recent literature has recognized the evolutionary nature of dynamic capabilities in that managers may adapt their alliance networks dynamically to sustain competitive advantage, as well as identified a continuing gap in the lack of empirical studies on feedbacks between network environments, dynamic capabilities, and innovation performance. In addition, other literature calls for more quantitative research on examining dynamic capabilities in a network environment to provide a better understanding of how firms should direct their resources and capabilities to successfully respond to competition. This study contributes towards closing both gaps by empirically examining the cumulative and incremental effects of fostering and deploying different dynamic capabilities on services innovation, and by quantifying their impact, thus providing managers with a better account of how services innovation comes about in a service value network. It does so using empirical data from 449 respondents from a telecommunications service provider in Australia and its partnering organizations, using structural equation modelling. Innovation in services can be regarded as an inter-play of service concepts, service delivery practices, client interfaces, and service delivery technologies. Furthermore, innovations in services are increasingly brought to the market by networks of firms, selected for their unique capabilities and operated in a coordinated manner, referred to as a service system or service value network (SVN). Bringing such service innovations to market by a network of firms requires extensive coordination and integration of data, information/knowledge and processes, while ensuring strategic alignment of partnering firms. In this research we examine how Service-Oriented Architecture (SOA), and its effect on Information Technology Infrastructure Flexibility (ITIF), may act as a potential enabler for recently identified organizational drivers of services innovation in a service system, namely Collaborative Architecture Management (CAM) and Collaborative Organizational Infrastructure (COI). A preliminary qualitative study of a Telco and its partners in the Middle East validates the dynamic capabilities at play in our proposed research model. Purpose Innovation in services is thought to be multi-dimensional in nature, and in this context the purpose of this paper is to present and operationalise the concept of elevated service offerings (ESO) in collaborating service organisations. ESO stands for new or enhanced service offerings which can only be eventuated as a result of partnering, and which could not be delivered on individual organisational merit. ESO helps us expand our understanding of service innovation to include a service network or service systems dimension. Service organizations increasingly create new service offerings that are the result of collaborative arrangements operating on a value network level. This leads to the notion of âelevated service offerings,â our definition of service innovation, implying new or enhanced service offerings that can only be eventuated as a result of partnering, and one that could not be delivered on individual organizational merits. Using empirical data from a large telecommunications company, we demonstrate through structural equation modeling (SEM) that higher-order dynamic capabilities in services are generated as a result of collaboration between stakeholders. Furthermore, it is through collaboration and education of the stakeholders that additional higher-order capabilities emerge (customer engagement [CuE], collaborative agility [CA], entrepreneurial alertness [EA], and collaborative innovative capacity), all of which influence the service innovation outcome. Our study also reveals empirical evidence for an ongoing process of continuous dynamic capability building in accordance with the changing dynamics of business. Managers of service organizations should recognize the potential embedded in these higher-order skill sets, starting from collaboration, learning, and management of creative ideas for both strategic and operational benefits. Moreover, the capabilities of CA, EA, and CuE are even more important in managing the flexibility, timely delivery, and reliability of service offerings. Managers should take measures to inculcate, promote, and manage these dynamic capability skill sets to foster innovation in services. © 2018 by IGI Global. All rights reserved. This chapter explores the management strategies adopted by manufacturing firms operating in high versus low cost economies and investigates the reasons for differences in the management practice choices. The study reported in this chapter identifies a subset of countries that have either high or low labour costs, with USA, Sweden, and Japan being high, and India, China, and Brazil being low labour cost economies. The high labour cost manufacturing firms are found to have better management practices. In this chapter, the authors find that Australia and New Zealand manufacturing firms face relatively high labour cost but lag behind world best practice in management performance. The chapter concludes by highlighting the need for improvement in management capability for Australian and New Zealand manufacturing firms if they are to experience a reinvigoration of productivity, competitiveness, and long-term growth. Green, R, Agarwal, R & Logue, D 2015, 'Innovation' in Bryant, P & Mathews, J (eds), The International Encyclopaedia of the Social and Behavioural Sciences, Elsevier. linkages, which illuminate the nature and significance of innovation for the twenty-first century. human capital in promoting service innovation is identified in the innovation literature. which are not ubiquitously available in large proportion amongst service organizations. for firms to engage in service innovation and delivery. public service innovations in the increasingly challenging environment. Since the outbreak of the Global Financial Crisis (GFC), businesses and governments in developed economies are more focused on a single metric than ever before: sustainable affordability. The survival depends on cutting back on the wasteful ways of the past, and is an opportunity for reinvention through, perhaps, creative destruction (Schumpeter and Backhaus 2003). Consequently, an opportunity to learn and adopt more frugal and sustainable ways in innovating has emerged. In this chapter, we provide a framework based on lessons in frugal innovations derived from emerging market experiences. Frugal innovation results in affordable products and services through minimizing the use of resources or by leveraging them in new ways (Govindarajan and Ramamurti 2011; Bound and Thornton 2012; Radjou et al. 2012). The lessons from successful frugal innovations in emerging countries are important—they provide a continuous and sustainable innovation approach—and help businesses and governments in the developed economies stay relevant to their stakeholders. Besides, more inclusive services innovation—as seen in examples from India, China, Africa, and other emerging countries, may ultimately ensure established businesses have a way of providing 'good enough' service experiences, at low cost, and more importantly, in shortest time to benefit. © Springer-Verlag Berlin Heidelberg 2014. Services [Service sectors include financial services (banking, insurance, securities, fund management), professional services (accounting, legal, engineering, architecture), health services, education services, environmental services, energy services, logistics, tourism, information technology, telecommunications, transport, distribution, standards and conformance, audio-visual, media, entertainment, cultural and other business services (Australian Services Round Table Memorandum of Understanding with Australia 2009)] are becoming increasingly important to the Australian economy and that of other developed and developing economies. Yet, evidence shows that as production moves from agriculture and manufacturing to service- and knowledge-based economies, productivity growth rates have declined. To date there are no clear indicators for quantifying productivity for service and network based firms. This raises the question: How can productivity be measured for service and network based firms? This chapter presents a systems view of productivity and is organized into five sections: Overview of productivity; Current measures of productivity using KLEMS; Existing Service Productivity Models; Service Enterprise Productivity in Action (SEPIA) model, and New Measures for Service Enterprise Productivity. The key contribution of this chapter involves the operationalisation of the SEPIA model and an illustration of the model through the use of an industry example. This chapter explores the management strategies adopted by manufacturing firms operating in high versus low cost economies and investigates the reasons for differences in the management practice choices. The study reported in this chapter identifies a subset of countries that have either high or low labour costs, with USA, Sweden, and Japan being high, and India, China, and Brazil being low labour cost economies. The high labour cost manufacturing firms are found to have better management practices. In this chapter, the authors find that Australia and New Zealand manufacturing firms face relatively high labour cost but lag behind world best practice in management performance. The chapter concludes by highlighting the need for improvement in management capability for Australian and New Zealand manufacturing firms if they are to experience a reinvigoration of productivity, competitiveness, and long-term growth. Scerri, M & Agarwal, R 2013, 'The Evolution of the Production Function: Transition to the Value Creation Cube' in Mukhopadhyay, C, Akhilesh, KB, Srinivasan, R, Gurtoo, A, Ramachandran, P, Iyer, P, Mathirajan, M & Subrahmanya, M (eds), Driving the Economy through Innovation and Entrepreneurship, Springer, India, pp. 561-572. This chapter provides an insight into how service innovation may be enabled in service systems. In particular, we look at the ability of the organizational networks to collaboratively generate the capacity to adapt to changing circumstances rather than as individual firms on their own, using the RARE (Resources, Activities and Routines configured and reconfigured through Entrepreneurial actions) strategic framework. This leads into unraveling the complexity of strategic decision making in service networks through co-evolutionary adaptation, or the learning of organizations over time and the resulting virtuous process of experience, learning, and dynamic capabilities enabling them to respond to and launch a variety of competitive actions. Finally, we report on how service networks can address the duality of dynamic control capacity and responsiveness, known as the Paradox of Flexibility, through linking strategic and operational capabilities, as well as customer-supplier duality capabilities, in real time. This in the end results in innovation in services or our notion of "elevated" service offerings. Green, R, Liyanage, S, Pitsis, TS, scott-kemis, D & Agarwal, R 2009, 'Fostering Young Entrepreneurial and Managerial Talent' in OECD (ed), OECD, OECD, Geneva, pp. 1-127. Prepared for the OECD by the University of Technology Sydney, Australia, September 2009; Authorship - Green, R., Liyanage, S., Pitsis, T., Scott-Kemis, D. and Agarwal R.
Abou Maroun, E, Zowghi, D & Agarwal, R 2018, 'Challenges in forecasting uncertain product demand in supply chain: A systematic literature review', Managing the many faces of sustainable work, 32nd annual Australian and New Zealand Academy of Management, Auckland, New Zealand. This paper presents our review of the literature and industry reports in relation to attempts to quantify and measure entrepreneurial ecosystems. Public interest and research on entrepreneurial ecosystems (EEs) has exploded in recent years, with many different conceptualisations of EEs. How they are opera-tionalised and quantified remains a challenge. However, having a reliable metric for the state or health of an EE remains of great interest to policy makers and researchers alike. In this study, we review the emerg-ing literature on EEs with a focus on attempts to quantify what they are and how they work. While there is an emerging concesus or synthesis of what EEs are, the literature and reports on their quantification remain scattered. Many quantitative studies are based on the practicality of using data with very limited availability. Others use macro-level or aggregated individual level data to make inferences about what occurs at the level of the firm, their immediate network, or how these interactions play out across the ecosystem across a very diverse set of actors. While startups are the primary outcome and primary stakeholder in EEs, the broader literature recognises that startups do not operate in isolation, and that their emergence depends on the actions and interaction with other stakeholders, such as larger corpora-tions, universities, government and other incumbents. A single-minded obsession about the number of startups and their fundings deprives policy makers and researchers the ability to study the whole system or context in which they exist and create jobs, wealth and innovations. Godsell, J, Ignatius, J, Agarwal, R, Sohal, A & Agca, AO 2018, 'Harnessing the potential of the cyber-physical age: A readiness assessment', Industry 4.0 Summit, Manchester UK. Harnessing the potential of the cyber-physical age reaches beyond technology and the factory, to consider new technologically enabled ways to do business and connect up and down the supply chain. The purpose of this study was 2-fold. Firstly, to help companies to understand the broader scope and opportunities that Industry 4 offers business, and secondly to provide an understanding of the current degree of industrial readiness. A three-stage research design was used to develop, validate and deploy an industry 4 readiness assessment tool that reflected the broader scope. A systematic literature review was at the core of the tool development. The initial version was validated through testing in a global steel company (14 participants) and an industrial workshop (40 participants). The readiness assessment tool was then deployed as an on-line survey in 2 phases, firstly by a UK based University, and then in Australia. The readiness assessment has 6 dimensions (products and services, manufacturing and operations, strategy and organisation, supply chain, business model and legal considerations) and 37 sub-dimensions. Responses from 124 companies (across 16 industries and 23 countries) found that companies are at a beginner or intermediate level of readiness. Computer networks and databases were the most commonly adopted forms of technology (>70%), whilst the adoption of AI (17%) and machine learning (4%) were still nascent. Across the dimensions it was found that companies were beginning to harness the opportunities that data provided, to improve their current performance at machine, factory and supply chain levels. Furthermore, this could be harnessed to shift the focus from the selling products to services and create new business models with more direct connection to the user. The study suggests that companies are yet to develop the strategic vision, finance and investment in new technologies that a more radical Industry 4 transformation may require. Digital services are a disruptive innovation helping the Australian government deliver public services to a greater number of citizens faster and more efficiently than ever before (United Nations, 2016). Over the last 20 years, the Australian federal government has been able to achieve nearly full availability of digital government services through public sector innovation. A recent commitment to such innovation occurred with the May 2015 release of a Digital Service Standard (DSS). Two years has passed since Australia introduced its DSS and this research reviews the role of this standard in fostering public service innovation. To perform this analysis, this research evaluates the alignment between the DSS and the commonly adopted approaches for managing organisational innovation of Innovation Process Management (Cooper, 1990) and Innovation Portfolio Management (Tuff & Nadji, 2012) in the public sector context. The analysis draws on publicly available data on 19 Digital Service Standard assessments from July 2015 to June 2017 and case studies of three assessments including: Digital Marketplace, MyGov and BloodNet. This evaluation found that the DSS exemplifies innovation process and innovation portfolio management in its use of gates, assessment criteria and reach across eight different agencies. The analysis also identified design limitations in the DSS as a whole of government innovation management approach due to its limited uptake in the majority of large government agencies and lack of specific standards to encourage different types of innovation. The paper proposes a framework to realign the DSS to better practices of innovation process and portfolio management, including tailoring the standard for new and existing services across a greater proportion of government agencies, and adjusting the DSS to encourage both incremental and disruptive innovations. Innovation and flexibility have long been understood as key elements in the competitive repertoire of todays' manufacturing SME (Small to Medium Sized Enterprise). For SME's that produce a high variety of customised products at low volumes (HVLV), the necessity to innovate and simultaneously maintain flexibility poses a significant organisational challenge. HVLV manufacturers are typically designed in such a manner to enable the manufacture of a wide range of highly customised products. The organisational success of the HVLV manufacturer, then, largely depends on its' ability to reconfigure resources and adapt to new circumstances (in other words, the ability to be flexible). In fact, it is in the pursuit of flexibility that HVLV manufacturers choose to adopt the job-shop style of production and 'project-based' organisational structure. There is evidence which suggests flexibility and innovation are complementary in the realm of mass-customisation. Yet, authors investigating the adoption of 'project-based' organisational forms (as observed in HVLV manufacturing) warn the quest for 'fast, flat and flexible' organisational designs often result in environments which hinder innovation. Indeed, the applicability of organisational practices designed to foster flexibility and its effects on the ability of a HVLV manufacturer to innovate requires further investigation – thus, a core objective of this paper. Participating in global supply chains is becoming an imperative, yet remains a challenging endeavour for many businesses. In 2015 World Trade Organisations members exported merchandise to the value of US$16.2 trillion and commercial services US$4.68 trillion. Monetary policies in developed countries and exchange rate volatility impact the price of goods, firm performance and growth of international trade. One of the many risks for participating businesses in international business, especially for small to medium sized business, is foreign exchange risk generally managed through hedging and invoicing risks. In this context, invoicing currency strategy is an important factor for supply chains and is indicative of the level of economic risk and which parties bear risks in global supply chains. This research explores and compares management techniques for exchange rate exposure in the currency payment processes and though the use of different currencies when deploying block chain technology and crypto-currency. This draws on data on the invoicing practices of buyers and sellers in Australia which is analysed to determine exporters invoicing currency at an aggregate level by industry. Values of buyer currency, seller currency and vehicle currency are then compared with the potential for cryptocurrency to enable a single currency global trading environment, where monetary policy is not in the control of any one countries central governing body. The paper finds that Australian exporters will have new and optimal instruments at hand to limit the adverse impact of exchange rate volatility embedded in current payment processes which can be eliminated or more easily managed through the deployment of emerging solutions. Agarwal, R, Bajada, C, Brown, P & Green, R 2016, 'The interactions between people management and performance of lean manufacturing firms – evidence from Australian and New Zealand manufacturing firms', 16th Global Conference on Flexible Systems Management titled 'The Future of Manufacturing: Global Value Chains, Smart Specialisation and Flexibility', Annual Conference of Global Institute of Flexible Systems Management, Sydney. Sajib, S & Agarwal, R 2016, 'Exploring linkage between dynamic capabilities and firm performance: Evidences from case studies of ICT companies', 16th Global Conference on Flexible Systems Management titled 'The Future of Manufacturing: Global Value Chains, Smart Specialisation and Flexibility', Global Conference on Flexible Systems Management, Sydney. Sukura, B, Agarwal, R & Giurco, D 2016, 'Interdisciplinary telehealth care collaboration – a literature review', 16th Global Conference on Flexible Systems Management titled 'The Future of Manufacturing: Global Value Chains, Smart Specialisation and Flexibility', Global Conference on Flexible Systems Management, Sydney. The Triple Helix (TH) framework is a well-established theoretical concept and a basis for portraying patterns of industry-science-government interactions. The TH framework provides a useful depiction and description of what might take place in what are commonly described as 'regional innovation ecosystems'. There is a presumption that interactions will evolve around the convergence of missions concerning creation and utilisation of knowledge, regional networks, government regulation and venture finance, and decisions of multinational corporations and international organisations. However, like the regional innovation systems model itself, the TH model offers little in the way of practical guidance about how interactions can be nurtured and developed, what and where new public and private innovation investments should be made, the most appropriate way to go about building and strengthening engagement between institutions to achieve innovation outcomes, and most significantly, the governance and intermediary arrangements appropriate to guide planning, budgeting and resource allocation at a regional level. This paper addresses the extent to which the Smart Specialisation framework can address those investment, engagement and governance issues. Governance models and frameworks become increasingly important as the flow of resources for regional purposes increases. Loosely aligned networked arrangements must give way to more formally established corporate arrangements to ensure responsibility and accountability by funding agencies, auditors and national scrutiny bodies. Governance arrangements move from network arrangements through association models and strategic alliances to more formalised corporate arrangements. The Australian RDA model, as it has evolved in the Hunter, provides a basis not only for the development and implementation of regional strategies, but also for assigning responsibility and delivering accountability. Scerri, M & Agarwal, R 2016, 'Changing Payment Processes: Impact on Supply Chains', The Future of Manufacturing: Global Value Chains, Smart Specialisation and Flexibility, Sydney. Luff, S & Agarwal, R 2016, 'The Co-Creation of Value in Destination Networks: A Dual-Layered Business Model', 16th Global Conference on Flexible Systems Management titled 'The Future of Manufacturing: Global Value Chains, Smart Specialisation and Flexibility, Sydney. Agarwal, R & Scerri, M 2016, 'Service Complexity: A Determinant of Service Productivity', 14th ANZAM Operations, Supply Chain and Services Management Symposium titled 'Making a difference in a changing world through collaboration, creativity and innovation, ANZAM Operations, Supply Chain and Services Management Symposium, Sydney. used as a proxy to value co-ordination. Memary, R, Giurco, D & Agarwal, R 2016, 'Life Cycle Assessment: Environmental Sustainability or Only Environmental Impacts in Case of Resources? ', 14th ANZAM Operations, Supply Chain and Services Management Symposium titled 'Making a difference in a changing world through collaboration, creativity and innovation', Sydney. Sivaprakasam, S & Agarwal, R 2016, 'The Role and Importance of ASEAN SMEs and Their Integration into Global Value Chains', 14th ANZAM Operations, Supply Chain and Services Management Symposium titled 'Making a difference in a changing world through collaboration, creativity and innovation', ANZAM Operations, Supply Chain and Services Management Symposium, Sydney. Pradhan, S, Hawryszkiewycz & Agarwal, R 2016, 'A collaborative tool for enhancing Design Thinking', UTS Business Faculty L & T grant recipients presentation, Sydney. Building upon knowledge-based and network views this pilot study presents a new conceptual model 'The Relational Capability-Linkages Model' for stimulating internationalisation in the context of the booming mining industry in Australia. The purpose of the paper is to demonstrate the potential benefits of inter-firm linkages, between Australian and Indian mining firms, which subsequently lead to relational capability building and emergent modes of internationalisation. The ensued relational capability of a) realisation b) assessing c) knowledge and resource sharing, d) opportunity sharing and e) product and process co-adaptation and f) co-innovation were identified as critical capabilities in the context of enhancing internationalisation, there by underpinning the conceptual framework. This research contributes distinctively to the international business literature by synthesizing two theoretical strands the actor-network theory (Callon and Latour 1992) and the relational capability theory (Birley et al. 1991), to investigate the importance of networks and relational linkages for enhancing the firm's capability for enhanced internationalisation. Results suggest that the firms primarily developed linkages with customers, suppliers, distributors and even competitors locally and globally with resultant benefits of relational capability and enhanced internationalisation. The study of innovation in services has made significant progress in the last decades. While traditionally, value and value creation have been predominantly understood from a goods- and exchange-oriented perspective, the growing economic importance of the service sector has led to an increasing recognition of the co-creation of value in services. The dynamic capabilities view on value creation has emerged as a promising approach to further our understanding of service innovation and its management. However, advancement in this domain is still somewhat limited by a predominance of traditional and firm-level oriented innovation measurement. The main contribution of this research is to provide a theoretical perspective on integrating the theories of dynamic capabilities and value creation in the context of service innovation. Thereby, we provide a basis for future empirical investigation of these important concepts and their relationships – and in particular their effect on performance. This paper is theoretical in nature and follows the evolution of production in the context of developed nations. We begin with the physical nature of industrial economies of the past, move to the service- and knowledge-based economies of the present, and incorporate the emerging creative industries where human creativity forms the basis on which value is created. Paralleled tothis isthe contributions of academic scholars whose theories and models have provided understanding and meaning at each of these evolutionary stages. The paper culminates with our contribution which recombines aspects of each of the models to form the Value Creation Cube framework. The Value Creation Cube framework represents the different perspectives of production, including the human elements of customers, suppliers, shareholders, employees and managers, whilst also provisioning for the technical components that enable the efficient communication and integration of each of the sub-components. Agarwal, R, Selen, W, Sajib, S & Scerri, M 2013, 'Capability Building leading to Innovation in Service Value Networks Evidences from Industry Case Studies', SMART Conference 2013, LAA, ApicsAU and Interpoint Events, Sydney convention and Exhibition centre. In order to succeed in highly competitive markets undergoing rapid technological advancement, professionals and academics have started to realise the importance of building dynamic capabilities. In the context of service companies, this is even more relevant as service firms are increasingly dependent delivering end to end services to their customers by integrating their core competence with other firms within a service value network. Thus, the necessity to investigate the dynamics of collaboration including partnering with their customers has implications for managers. As evident from literature as well as industry experience, collaboration offers unique opportunities to the partners when creating, designing and delivering new services. Value is co-created whilst attempting to combine, mobilise and realign complimentary resources and skills. This research paper intends to provide rich and practical insights about the dynamic capability building processes in the context of a service value network. Two case studies illustrate the dynamics of collaboration and value co-creation with customer being an intimate part of the delivery process. The first case is a telecommunications company supplying mobile handsets and the second delivers specialised emergency health care services in critical conditions. Semi structured interviews for the two case studies were conducted with key personnel belonging to partnering firms. These interviews demonstrate the dynamic capability building processes used to create value our notion of elevated service offerings. The results are derived through analysing the transcribed interviews using NVIVO software. Subsequently, limitations and managerial implications that can guide managers of service firms on how to create value through collaboration and service innovation is identified. Dynamic capabilities are increasingly seen as an organisational characteristic for innovation and are regarded as a source of competitive advantage. In a quest for sustainability, service organisations are partnering with their stakeholders, and subsequently are aptly bringing innovation in services to market. Most of existing empirical research regarding dynamic capabilities seeks to define and identify specific dynamic capabilities, as well as their organizational antecedents or effects. Yet, the extent to which the antecedents of success in particular dynamic capabilities, contribute to innovation in service organisations remains less researched. This study advances the understanding of such dynamic capability building process through effective collaboration, and highlights the detailed mechanisms and processes of capability building within a service value network framework to deliver innovation in services. Deploying a case study methodology, transcribing interviews with managers and staff from an Australian telco and its partnering organisations, results show that collaboration, collaborative organisational learning, collaborative innovative capacity, entrepreneurial alertness and collaborative agility are all core to fostering innovation in services. Practical implications of this research are significant, and that the impacts of collaboration and the dynamic capabilities mentioned above are discussed in the context of a mobile handset case study. Brown, PJ, Agarwal, R, Hooper, M & Pitsis, TS 2012, 'The association between management practices and employee affective state in Australian manufacturing firms', 35th Annual Congress European Accounting Association Programme, European Accounting Association (EAA), Ljubljana, Slovenia. Increasingly, small and medium enterprise firms (SMEs) in emerging economies are partnering with large multi-national firms within a âService Value Network (SVN)â. Moreover, these firms are short of resources such as human capital, financial capital, and know-how, which are essential for innovation, development of new technologies, and maintaining sustainable competitive advantage. This paper draws on existing constructs on Collaborative Organisational Infrastructure (COI), Collaborative Architecture Management (CAM) and Information Technology Infrastructure Flexibility (ITIF) from extant literature to demonstrate the importance of governance, leadership, Information and Communication Technologies (ICT) infrastructure, and business IT infrastructure flexibility in achieving effective Collaborative Entrepreneurial Alertness (CEA). In particular, this paper theoretically postulates the flow-on effects of partnering in a SVN fostering Entrepreneurial Alertness (EA) capability on individual SME firmsâ capability. This study investigates the impact of organisational leadership and governance, ICT infrastructure and organizational culture on innovation in services, using empirical data from a major Australian telecommunication service provider and its partnering organisations. Our empirical results show that governance, leadership, organisational culture, and ICT integration attributes all contribute significantly to the creation and delivery of innovation in services. Governance strategies tend to structure and regulate the conduct of the parties in an exchange, however when integrated, they constrain the latitude of decision making within the relationship. It is important that an environment of mutual support and culture is created to establish volitional compliance amongst partners. This is possible only through collaborative communication, openness and trust, with seamless integration of ICT systems, which allows transparent flow of information for real-time decision making. Sivaprakasam, S & Agarwal, R 2012, 'Customers as Co-innovators in Enterprise Innovation of Services - Open Innovation as a Social Experiment', Globalisation of Innovation Strategies: Novel Moves for a Global Game, Strategic Management Society Special Conference 2012, Strategic Management Society, Singapore, pp. 1-14. The traditional innovation approach of conducting innovation activities within the confines of the enterprise without active participation of the stakeholders is ineffective in the services business. In the connected, digital, service- and knowledge-based economy, where disruptive technologies such as cloud services re-define business models, there is a need to deliver end-user centric and individualistic experience in a sustainable way. The notion of product being the centre of interaction is being replaced with service processes involving customers as participants; generally defined between service provider and service consumer resulting in co-creation of value. The service provider processes therefore need to transform their service operations in order to embrace the change arising from customer interactions. The aim of this paper is to respond to the question with literature and industry analysis. In doing so, this theoretical paper provides a framework based on open innovation as a social experiment. Business firms are increasingly becoming dependent on each other to deliver services to their customers. Due to rapid changes in market conditions such as introduction of new technologies, changing customer preferences, and increasing competitive pressures on firms, the ability to build innovative capability has become a key resource and an asset. In the context of service firms, there is a growing trend of collaboration between firms facilitating value creation, Nevertheless, it is important to understand value creation in the reverse manner ie. ; do networks facilitate value for individual firms in return, and are there linkages between capabilities of networks, and capabilities of individual partnering companies. As evident from extant literature, the nature and type of linkage between firms in a business network plays a critical role in facilitating innovation capability building of the network. However, in order to effectively learn from the network service firms need to possess sufficient learning capacity to transform that into innovation capability within their own firm. This paper addresses the development of innovative capability of a partnering firm resulting from a collaborative arrangement; with this backdrop the paper presents a theoretical framework. Industrial economies of the past are now moving towards becoming service-intensive, creative and knowledge-based economies that incorporate human creativity and social capital as the basis of value creation and productivity improvements. Moreover, they are radically transforming the manner in which they design, deliver and operate, thereby creating new services and market opportunities. Further, the fact that services are varied, have unique attributes such as intangibility, heterogeneity, perishability, and inseparability (simultaneous consumption and delivery) with the customer as a provider of input, make them complex in nature and difficult to understand and analyse. This has inspired a flurry of activity in government, industry and universities. There is now a growing recognition of the need for transdisciplinary research and new business models to propel innovation in services, commonly referred to as Services Science an interdisciplinary cross-functional stream that brings together engineering, social sciences and management. In addition, business success is becoming less associated with tangible outcomes, embedded value and physical transactions, but more reliant on intangible resources, relationships, networks and co-creation of value. In the unfolding global economy, supply chains and value networks play a crucial role, and service organisations have to find innovative ways for attaining sustainable competitive advantage. Beyond this direct economic contribution, service industries have an ongoing role to deliver considerable indirect embodied value to goods production. Organisat ions strive to be innovat ive in order to survive and succeed in an everchanging business environment . Nevertheless, do these organisations really understand the meaning of innovat ion? The meaning and understanding of innovat ion is changing, original ly l imi ted to science and technological innovations it now includes innovat ion due to value co-creation, environmental and social chal lenges. Innovat ion is still an opaque concept, though many efforts are involved in developing an understanding of an organisat ion. This paper aims to explore the perspectives and patterns of Austral ian f irms pract ising innovat ions in their day-to-day activities. The paper further examines the pat terns of innovat ion involving innovation resources, efforts, outputs, and metrics used to measure innovat ion. An empirical study wi th qualitative analysis forms the basis of this paper. Innovation in services can be regarded as an inter-play of service concepts, service delivery practices, client interfaces, and service delivery technologies. Furthermore, innovations in services are increasingly brought to the market by networks of firms, selected for their unique capabilities and operated in a coordinated manner, referred to as a service system or service value network (SVN). Bringing such service innovations to market by a network of firms requires extensive coordination and integration of data, information/knowledge and processes, while ensuring strategic alignment of partnering firms. In this research we examine how Service-Oriented Architecture (SOA), and its effect on Information Technology Infrastructure Flexibility (ITIF), acts as an enabler for recently identified organizational drivers of services innovation in a service system, namely Collaborative Architecture Management (CAM) and Collaborative Organizational Infrastructure (COI). Rathinam, M, Green, R, Agarwal, R & Liyanage, S 2011, 'Role of Managers in Management Innovation in Large Organisation', Management Innovation - A Journey into the core of Research Management, EURAM, Rotterdam School of Management, Erasmus University Rotterdam, Rotterdam, Netherlands, pp. 1-16. The purpose of this paper is to explore the role of managers in management innovation based on existing literature and recent experience in large organisations in Australia. Despite the dramatic rise in interest in innovation, an increased awareness in management innovation focusing on management principles and practices has certainly reconceptualised the essence of innovation and its processes. As the management innovation theory is advancing, managers play a vital role in management innovation to make radical improvements. This paper provides insight into the role of managers and presents a theoretical model depicting the role of managers in management innovation in large organisations. A specific set of leadership and facilitation skills are required for managers to foster management innovation in organisations. The role of managers is explained in this paper using references to the âSwiss Cheese Modelâ. This risk management model has been used to explain how major incidents happen when deficiencies in safety systems are aligned; and in a similar vein the role of managers at various levels of an organisation can influence management innovation by aligning issues and opportunities to idea generation, creativity and dynamic capabilities. This requires specific leadership and influencing skills explained in this paper. The traditional manufacturing model of volume-variety influencing the conduct of business is not entirely representative of service-centric business. The latter has two key differences â it is much more end-user centric and individualistic in experience. The complex nature of service attributes also make it much more convoluted. The notion of product being the centre of interaction is being replaced with service processes involving participants and generally defined between a service provider and service consumer. The aim of this paper is to validate the service innovation hypotheses put forward based on significant developments in value networks, open interfaces, and business models recently. In doing so, this theoretical paper substantiates the claim that prescriptive volume-variety relationships are little meaningful in service delivery environment. The emerging economies are key factors in the future growth of world trade and the maintenance of global financial stability. Little is known about the way in which firms in emerging economies strategically manage the learning â creativity process to develop competitive advantage in both domestic and global markets. We extend the literature on learning and human capital by positing a model and examining 1) the mediating role of higherorder human capital in the relationship between learning facilitation and knowledge exploitation (KE); and 2) the mediating role of endogenous creativity in the KE â firm performance relationship. Qualitative method based on the sample in Chinaâs firms was adopted and the results indicate that all the hypothesized relationships are supported. Todays service organisations increasingly operate as part of a larger service system or Service Value Network (SVN). This requires organisations to develop a work culture which encourages collaboration, communication, creativity, risk taking and empowerment among their members, and motivates employees to question fundamental beliefs and work patterns. This paper develops the Organisational Orientation and Culture (OOC)-construct for building a sustainable SVN, and comprises four key cultures and orientations from the literature: entrepreneurial orientation, collaborative culture, learning orientation, and market/customer orientation. Using empirical data from a large Australian telecommunications SVN, and through the use of Exploratory Factor Analysis (EFA) and Confirmatory Factor Analysis (CFA) (using a holdout sample), this paper demonstrates that Collaborative Culture, Entrepreneurial Orientation, and a newly merged factor Freedom of Speech Culture emerge as the predominant underlying factors of culture for contemporary collaborative service organisations. This paper researches - Elevated Service Offerings - (ESO), or enhanced service offerings which can only be eventuated as a result of partnering, and which could not be delivered on individual organisational merit, within a service value network. The ESO is a multi-dimensional construct which was operationalized and validated through an extensive literature review, Exploratory Factor Analysis, and Confirmatory Factor Analysis using a holdout sample. This research gives managers of service organisations further insight into the dimensions of this new concept of innovation in services in collaborative service systems. Yield management is credited with delivering increases in revenue of between five to seven percent for top tier airlines. Since that time, its application has been extended to other service sectors within the travel and tourism industry. However, its application in other service industries which have high fixed costs and little marginal cost for additional customers is still in its infancy or is yet to be explored. Agarwal, R & Selen, W 2008, 'Coordination, integration and alignment as enablers for building sustainable service value networks', VI. International Logistics and Supply Chain Management Congress, VI.INTERNATIONAL LOGISTICS & SUPPLY CHAIN CONGRESS, LODER, Istanbul, Turkey, pp. 1-8. Service organisations create new service offerings that are the result of collaborative arrangements operating on a value network level. This leads to the notion of elevated service offering, implying new or enhanced service offerings which can only be eventuated as a result of partnering, and one that could not be delivered on individual organisational merits. Thus, organisations are faced with important challenges and opportunities which require strategic focus. Service industries are radically transforming the manner in which firms operate within the context of globalisation and service delivery mechanisms, thereby creating new service industry and market opportunities. Innovations in technology, integration with computers and telecommunications and the use of internet are viewed not only as a powerful facilitating mechanism for service organizational growth, but also as drivers for creating new service markets. Agarwal, R & Selen, W 2006, 'The Impact of Technovation and Collaboration on Strategic Service Classification in the Digital Economy', Research Forum to Understand Business in Knowledge Society, Global Conference on Emergent Business Phenomena in the Digital Economy, Tampere University of Technology and University of Tampere, Tampere, Finland, pp. 1-10. ISBN : 952-15-1680-1 (TUT) and 951-44-6785-X (UTA). Agarwal, R & Selen, W 2005, 'The Services Cubicle: A New Services Taxonomy', EUROMA International Conference - Operations and Global Competitiveness, European Operations Management Society Annual Conference, EIASM, Budapest, Hungary, pp. 1-10. Agarwal, R & Selen, W 2005, 'Services Value Network Consortia: Recent Literature and Operational Definition', Proceedings of the 3rd Annual ANZAM Operations Management Symposium: Managing, Value Edding and the Supply Chain Challenges and Opportunities, Australian and New Zealand Academy of Management Conference, Central Queensland University Publishing Unit, Rockhampton, Australia, pp. 5-14. Several service classifications based necessitate the need for on service- specific attributes, service delivery, channel strategies, marketing and management have evolved in response to the dynamics of the service industry. Service-specific attributes strategic and operational focus, whereas technological advancements have significantly contributed towards providing different channels for delivery, increasing flexibility, improving quality and reducing time and distance. These advancements drive organizations to organize themselves and operate on a value chain level, in response to new ways in which services can be marketed, branded, operated and delivered. This creates important challenges and opportunities, which call for a realignment of strategic focuses, in particular with respect to the impact of technovation (technology, channels, and organizational structures) on services modus operandi and their resulting service classification. developed This paper builds on, and illustrates a recently classification Services Cubicle, that transcends boundaries and includes trends scheme, referred to as current in technovation. A cross-section of service industry examples is used to clarify the resulting service classifications, taking into account deployment of varying degrees of technovation in that industry. These examples provide additional insights for service organizations, as well as a tool set to position, align, assess and validate the impact of their changing service offerings, whilst addressing the complexities of strategic alignment, value positioning, asset definition; as well as process, knowledge and relationship management. Agarwal, R, Bajada, C & Green, R 2018, Economic Value of Accreditation to Australia, Sydney. Green, R, Agarwal, R, Bajada, C, Chowdhury, M, Paul, S & Soco, S DAE 2017, Imagine Sydney Create, Imagine Sydney Create, Sydney. Agarwal, R, Green, R, Bajada, C, Brown, P, Bloom, N & Scott-Kemmis, D 2016, Australian Management Capability Survey and Innovation Case Studies Deliverable Report 1 & 2. A review by University of Technology Sydney UTS on F&B companies recommends that the greatest opportunities to lift innovation culture, productivity and competitiveness lie in improving management practices and workforce skills as well as encouraging collaboration between MNCs and SMEs. Agarwal, R, Green, R, Brown, PJ & Hannif, Z Report commissioned by Suncorp Group Employee Council (SGEC) 2013, Suncorp Group Employee Council (SGEC): Delivering Value. Benn, SH & Agarwal, R 2011, Sustainable Supply Chain Management, pp. 1-40, Sydney. Todayâs marketplace is characterised by evolving customer needs, increased competition and rapidly changing technologies. According to Gattorna (2010), supply chain designers inside enterprises will need to take these emerging developments into consideration as they reconfigure their supply chains for the future. For example, organisations now take the location of suppliers into consideration in the strategic decision making process. Organisations who do not seek to initiate sustainability practices in their supply chain will fall behind organisations that are proactively superseding government mandates. Hence organisations need to apply a sustainable supply chain management framework to shift their focus towards creating a truly sustainable competitive advantage. This report examines the drivers of the shift to sustainable supply chain management, including the important role that is being played by the public sector in terms of providing leadership and governance. It highlights the imperative for best practice assessment tools and for leading organisations to demonstrate the pragmatic opportunities associated with sustainable supply chains that are available to both organisations and governments alike. Taking up these approaches will support a sustainable, high performance economy in Australia. Green, R, Agarwal, R, Brown, PJ, Randhawa, K & Agarwal, N Department of Qld Health 2011, Management Matters in Queensland Hospitals - Findings from the Queensland Health Management Practices Research Project - Background Report, pp. 1-110, Brisbane. Agarwal, R, Green, R, Randhawa, K & Agarwal, N Department of NSW Health 2011, Management Matters in NSW Hospitals - Findings from the NSW Health Management Practices Research Project - Background Report, pp. 1-107, Sydney. Green, R, Agarwal, R, Kaine, SJ, Tan, H & Randhawa, K UTS 2011, Human Resource Management Practices in Australian manufacturing medium-sized manufacturing firms - Background Report (Part 2), pp. 1-158, Sydney. This report is the background report (part 2) of the research on human resource management in Australian medium-sized manufacturing firms is an extension of the Australian Management Practices (AMP) Research commissioned by Enterprise Connect, Department of Innovation, Industry, Science and Research (DIISR) in 2009. The previous AMP research was based on interviews conducted with 439 medium and large-sized manufacturing firms in Australia through structured conversational interviews which examined their management practices across eighteen different dimensions, corresponding to three broad areas of management - operations, performance and people. Enterprise Connect engaged the University of Technology, Sydney (UTS) to conduct an extension research to examine the area of human resource management (HRM) in greater detail. The objective of this research is to identify HRM best practices and better understand the main reasons why Australian medium-sized manufacturing firms lag behind other countries in the area of people management. This research study employs qualitative research methodology to gain rich insights into the HRM practices adopted by medium-sized Australian manufacturing firms and compares groups of best-, average- and worst-performers in the area of people management, based on the people management score attained in the original AMP research. Green, R, Agarwal, R, Brown, PJ, Randhawa, K & Agarwal, N Department of Qld health 2011, Management Matters in Queensland Hospitals - Findings from the Queensland Health Management Practices Research Project - Final Report, pp. 1-62, Brisbane. Green, R, Agarwal, R, Kaine, SJ, Tan, H & Randhawa, K UTS 2011, Human Resource Management Practices - Australian medium sized manufacturing firms - Final Report, pp. 1-37, Sydney. This research on human resource management in Australian medium-sized manufacturing firms is an extension of the Australian Management Practices (AMP) Research commissioned by Enterprise Connect, Department of Innovation, Industry, Science and Research (DIISR) in 2009. The previous AMP research was based on interviews conducted with 439 medium and large-sized manufacturing firms in Australia through structured conversational interviews which examined their management practices across eighteen different dimensions, corresponding to three broad areas of management - operations, performance and people. Enterprise Connect engaged the University of Technology, Sydney (UTS) to conduct an extension research to examine the area of human resource management (HRM) in greater detail. The objective of this research is to identify HRM best practices and better understand the main reasons why Australian medium-sized manufacturing firms lag behind other countries in the area of people management. This research study employs qualitative research methodology to gain rich insights into the HRM practices adopted by medium-sized Australian manufacturing firms and compares groups of âbestâ, âaverageâ and âworstâ performers in the area of people management, based on the people management score attained in the original AMP research. The manufacturing sector is strategically important to the Victorian economy as a source of jobs, exports, investments, innovation, and research and development. Despite its declining share of national and state output, manufacturing remains the second-largest sector in the Victorian economy. The starting point for this research report, prepared by the Australian Industry Group in partnership with the University of Technology Sydney, is that effective management practices, skills and capabilities have the potential to drive productivity, innovation and competitiveness in the Victorian manufacturing sector. The sector is dependent on the availability of a skilled workforce which is able to adapt and respond to the significant challenges it faces. These challenges include the shift to higher-level skills driven by the introduction of new technologies and the demands of global competition, the recruitment and retention challenges that come from other sectors hungry for skills, such as the resources sector, and the challenges that flow from a wide public perception that manufacturing is a sector at risk. The essential questions addressed are: â¢To what extent are skills and talent critical to the competitiveness of Victoriaâs manufacturing industry? â¢How are skills and training requirements changing with the needs of industry? â¢How important are management and strategic capabilities to global competitiveness for Victorian manufacturers? Sitting behind those questions are a multitude of issues, many of which are canvassed in the report. The research has been undertaken from an industry perspective. The guiding questions have been: What are the needs of industry? And what is important to enterprises and what would make a difference? The aim of this report is to make comment on the skilling system from the perspective of where it intersects with industry and enterprises. Green, R, Agarwal, R, Randhawa, K & Agarwal, N Department of NSW Health 2011, Management Matters in NSW Hospitals - Findings from the NSW Health Management Practices Research Project - Final Report, pp. 1-67, Sydney. Green, R, Agarwal, R, Kaine, SJ, Tan, H & Randhawa, K UTS 2011, Human Resource Management Practices in Australian manufacturing medium-sized manufacturing firms - Literature Review (Part 1), pp. 1-35, Sydney. This is the literature review for the research on human resource management in Australian medium-sized manufacturing firms is an extension of the Australian Management Practices (AMP) Research commissioned by Enterprise Connect, Department of Innovation, Industry, Science and Research (DIISR) in 2009. The previous AMP research was based on interviews conducted with 439 medium and large-sized manufacturing firms in Australia through structured conversational interviews which examined their management practices across eighteen different dimensions, corresponding to three broad areas of management â operations, performance and people. Enterprise Connect engaged the University of Technology, Sydney (UTS) to conduct an extension research to examine the area of human resource management (HRM) in greater detail. The objective of this research is to identify HRM best practices and better understand the main reasons why Australian medium-sized manufacturing firms lag behind other countries in the area of people management. This research study employs qualitative research methodology to gain rich insights into the HRM practices adopted by medium-sized Australian manufacturing firms and compares groups of âbestâ, âaverageâ and âworstâ performers in the area of people management, based on the people management score attained in the original AMP research. Green, R, Agarwal, R, Wang, KY, Tan, H & Randhawa, K UTS 2011, Building Dynamic Capabilities in Australian manufacturing medium-sized manufacturing firms - Background Report, pp. 1-105, Sydney. Green, R, Agarwal, R, Wang, KY, Tan, H & Randhawa, K UTS 2011, Building Dynamic Capabilities - Australian medium sized manufacturing firms - Final Report, pp. 1-44, Sydney. Green, R, Agarwal, R, Brown, PJ, Tan, H & Randhawa, K 2010, Management Matters - How does manufacturing measure up?- Background Report for the Ministry of Economic Development (MED), New Zealand, pp. 1-125, Med Nzl. This paper benchmarks management practices in New Zealand manufacturing firms against the global best. The project was undertaken by a research team from the University of Technology Sydney and is part of a world-wide study led by the London School of Economics and McKinsey & Co. The findings suggest that while some of New Zealandâs firms are as good as any in the world, there is a substantial tail of firms that are mediocre, especially in their approach to people management. This is a key differentiating factor between New Zealand and better performing, more innovative countries, and it echoes similar recent findings for Australian manufacturers. The research findings also suggest that there is a link between the quality of management scored across 18 dimensions of people, performance and operations and enterprise productivity. This study suggests that New Zealand manufacturing firms need to improve the management performance to build longer-term competitive advantage. It reveals that some management practices represent opportunities for improvement for these manufacturing firms. The study demonstrates that a costeffective way of improving the productivity performance of New Zealand firms is to promote a transformation in the calibre of the management and leadership of its organisations. This is the key to a more innovative, dynamic and sustainable economy into the future. Green, R, Agarwal, R, Tan, H, Brown, PJ & Randhawa, K DIISR 2009, Management Matters -Just how productive are we?- Background Report for the Department of Innovation, Industry, Science and Research (DIISR) on manufacturing firms, pp. 1-138, Canberra. Management Matters â Just how productive are we?â Background Report for the Department of Innovation, Industry, Science and Research (DIISR) on manufacturing firms. This unique research project for the Department of Innovation, Industry, Science and Research benchmarks management practices in Australian manufacturing firms against the global best. The project was undertaken by a research team from the University of Technology Sydney, Macquarie Graduate School of Management and the Society of Knowledge Economics, and is part of a world-wide study led by the London School of Economics, Stanford University and McKinsey & Co. The findings suggest that while some of our firms are as good as any in the world, we still have a substantial `tail of firms that are mediocre, especially in their approach to people management. This is a key differentiating factor between Australia and better performing, more innovative countries. Agarwal, R 2018, 'Peer-learning helps close management gap in regional Australia', UTS. Green, R & Agarwal, R 2017, 'Three theories for what's causing the global productivity slowdown', The Conversation. Green, R, Agarwal, R & Bajada, C 2017, 'Study identifies Sydney's innovation hotspots', UTS News room. Kaur, A & Agarwal, R 2017, 'Fresh produce supply chains', UTS Research and teaching. Kaur, A & Agarwal, R 2017, 'Digitising the farm – UTS and IIT Madras tackle food waste with technology', UTS research and teaching. Agarwal, R 2017, 'Peer-learning enables growth in hard-to-reach places'. Agarwal, R, Green, R, Bajada, C & Brown, P 2017, 'Major study paints picture of who's managing our businesses', UTS. Agarwal, R 2017, 'What's in a supply chain? ', UTS. Agarwal, R & Brown, P 2017, 'UTS researchers recognised at AMCS data launch event'. Agarwal, R 2017, 'Improving management and productivity in regional Australian businesses', ABC Radio Talk. Agarwal, R 2016, 'How to strengthen business in regional Australia', http://leadershipmatters.com.au/new-in-leadership/2016/march/how-to-str…. Agarwal, R 2016, 'Lighting the Fuse – How to drive Cultural Change', Create Magazine, pp. 27-29. – Story by Louis White; pages 27-29 Nov 16, 2016. Agarwal, R 2016, 'Strategic supply chain management more important than ever'. Agarwal, R 2015, 'Program targets regional business leaders on the front line', http://www.uts.edu.au/about/uts-business-school/news/program-targets-re…. Scerri, M & Agarwal, R 2011, 'Yield Management: The Business of Vocational Education, an Australian Case Study'.